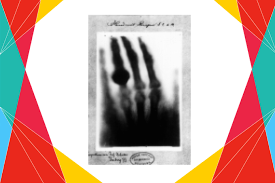 A household name in medical field, X-ray was discovered just like a miracle. 121 years back in 1895 in Germany, a scientist Wilhelm Conrad Roentgen, while performing a research on cathode rays accidentally came across some images on the screen. He later repeated the experiment on a photographic plate. An image of his wife’s hand was captured, first medical x-ray taken by Wilhelm. Print of Wilhelm Rontgen’s first “medical” X-ray, of his wife’s hand, taken on 22 December 1895. That’s how we came to know about the boom in medical field. Before this accident, nobody ever thought of something that can make one see what’s happening inside the body from outside at just one click. Earliest x-rays done were that of kidney stone; an x-ray showing a penny in the throat of a child, and an image of a frog’s legs in motion, an x-ray to make a diagnosis of a needle embedded in a woman’s hand. Initially, it was believed X-rays passed through flesh as harmlessly as light. However, within several years, researchers began to report cases of burns and skin damage after exposure to X-rays. In 1904, Thomas Edison’s assistant, Clarence Dally, who had worked extensively with X-rays, died of skin cancer. Dally’s was the first known human to be killed because of x-ray. His death caused some scientists to begin taking the risks of radiation more seriously. X-ray is not a patent discovery. Wilhelm Conrad Roentgen received the first nobel prize in Physics for his accidental discovery. The term “X-ray” is used to refer to both the image itself and to the method.